Investment club for teachers: Circle or Dead End? The first time I heard about Gifting Cirlces, I was sitting in the dentist’s chair getting my teeth cleaned. My dental hygienist was telling me about the one she was in. I was her captive audience, as I sat wide-mouthed in the chair. She told me that the circles started during the Second World War, as a way for women to help each other when their husbands were off fighting overseas. One woman in the middle. Two women in the next outer circle. Four women in a third circle. Eight women in the outer circle. When you join a circle, you “gift” $5000 in cash to the woman in the centre. Upon receiving her gift, the woman leaves the circle. Then the group splits in half. Each of the other two then becomes the centre of her own circle. When eight more women are added, she accepts a cash gift of $5000 from each of them, for a total gift of $40,000. She then leaves the group and the circle splits again. The idea is that everyone who joins the circle, ultimately leaves the circle with a cash gift of $40,000. You can buy in again after you have left, but you have to move to the outer circle and contribute another $5000 each time you re-join. I listened to the dental hygienist for almost a solid hour as she performed regular maintenance on my pearly whites. As she was finishing up, she said that if I was ever interested in investing, I could let her know and she’d get me an invitation. Nevertheless, I was very, very curious. I loved the idea of women helping women. Having been raised by a single mother, I know how hard it can be for women to make ends meet from month to month. We were not supposed to tell the men closest to us about the circle. It is just for women. It had an element of mystery that I found as captivating as I did suspicious… No last names, no cheques. Cash only. There was an almost cult-like feeling… You must be “chosen” to take part in a gifting circle. This seemed to be a blatant appeal to my ego… I was suddenly special. I was “chosen”. I didn’t join… but remained curious. I’ve recently been invited to another “Gifting Circle”. They are also called “investment circles”, “gift clouds” or “gifting clouds”. This one is primarily targeted towards teachers. For me, these words are seductive. Phrases such as “build our financial literacy” and “become empowered” speak to my heart. They invoke a deep and visceral response of wanting to help my fellow woman, as much as myself. The article from the Calgary Herald was particularly poignant, as it talked about how these Gifting Circles can ruin friendships and professional relationships. I am all about women building their financial literacy and learning how to develop personal leadership for themselves and their money. I am no longer convinced that joining a Gifting Circle is a way to help my fellow teachers… or that it will build my financial literacy. Besides… who would want to risk losing a friend over an investment that might just constitute illegal activity? My teacher-friends are among those nearest and dearest to my heart. We often have lots in common when it comes not only to work, but also to our values, ethics and who we are as people. We are almost compulsively supportive of one another… in a really great way. I wont’ be joining a gifting club or investment circle (or pyramid) any time soon. I will find other ways to support my fellow teachers this year. What do you think? Have you ever heard of a “gifting circle”? Or an investment club for teachers? What was your experience? On the day of the 50th Anniversary of the March on Washington and Martin Luther King Jr.’s now famous “I have a dream” speech, Inside Higher Ed. published an article on self-segregation at U.S. college residences. The article is titled “Residence Halls Get Religion” and talks specifically about residences that favour Roman Catholic and Christian students. Students of other faiths are allegedly permitted “if there is space”. Should institutions that promote higher thinking also promote this new form of self-segregation? Is this a sign that young people really prefer not to live in harmony with others, but rather “stick with their own kind”? Is segregation any better if it is done through self-selection? Canada is usually not terribly far behind the United States in terms of trends. I wonder if this phenomenon will hit Canadian campuses, too? (Let me re-phrase that… I worry that it might.) Does the sad irony of this make you shake your head, too? I cannot help but wonder, on this very important anniversary, how far we have really come? I think we still have some work to do when it comes to putting tolerance, understanding and peace first. What do you think? Is it a good idea to have college residences segregated by religion? The University of Calgary announced today that it is changing its branding. Again. The change is being hailed as a “refreshed system”, “more logically structured” and “streamlined”. Before 1966, the university was a satellite campus of the University of Alberta. In ’66 it gained its independence as its own institution. You can see the U of A logo in the upper left-hand corner. 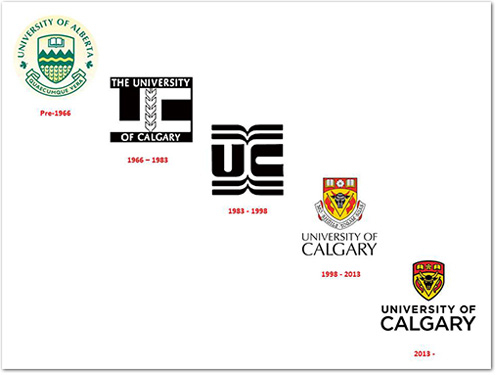 Since becoming its own institution, the University of Calgary has had four distinct logos. It still looks pretty much the same as it did in 1966. For a university, arguably, that’s a good thing. 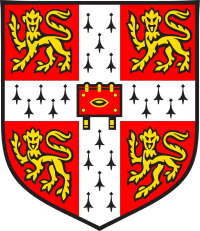 Cambridge has been around since the year 1205 and yet, there is little historical evidence of much change in its visual branding during the past century at least. Georgetown opened its doors in 1789. There is a plaque embedded into the brick of one of its building with its crest. On the left, you see its current logo. There has been little change in its branding since 1789. In branding one of the key elements is consistency over long periods of time. Think about McDonalds, Coca Cola or MGM films. You can instantly picture their logos or visual branding in your mind, right? 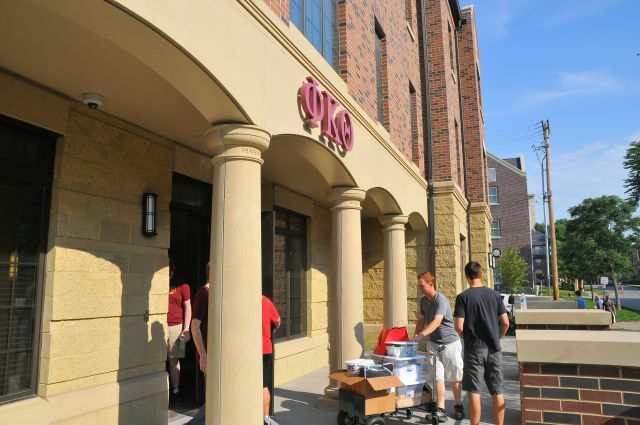 At institutions of higher learning, the branding isn’t just for the students of today. It is also for the alumni. Possibly even generations of alumni who feel that their experience at the institution forms part of their youth and their identity. I have to ask myself how radically re-branding a university four times in half a century helps to great a sense of stability or connection over generations of alumni? There are times when a re-brand is a good thing. If a product, organization or program developed a logo in its very early days that was not very professional — and it shows — then developing a new logo is a way to elevate its sophistication, prestige and overall image. But re-brands are not to be taken lightly in education — particularly not in higher education. When a client hires me for an educational marketing consulting project, it is very rare that I recommend a complete re-brand of a program or a school. The risks of appearing inconsistent, flighty or unreliable more often than not outweigh the seduction of having something fresh and new. When it comes to branding, stability and consistency and create a sense of legitimacy, credibility and trustworthiness. In turn, this builds the prestige and honour for the brand. Over time, the brand enjoys higher and higher levels of social esteem. Prestige and honour have to be earned by educational institutions, particularly in today’s world of “pop-up” schools and that takes time… much longer than a decade or two in most cases. If you are thinking about a re-brand of your school or educational program, think about it long and hard. Weigh the benefits and the risks. Think about the long-term, rather than the short term. Consider the impact on generations of alumni. Often, it’s better to invest the time upfront to develop a sophisticated logo, crest or shield than can outlive not only this generation of administrators, but the next five generations of administrators, too. Warning: This post may offend literary scholars and literary theorists. One of Canada’s most reputable institutions of higher learning, the University of Alberta, announced today that it is cutting 20 arts programs. Languages and culture programs are taking the brunt of the cuts. Included in the cuts are undergraduate major programs in classic languages, Italian, Russian and Ukrainian. A full list of the cut programs can be found here. For years I’ve said to my colleagues that languages programs that focus mainly on literature and culture are doomed. I agree that there is immense value in learning literature and culture, but the reality is that it won’t get you a job — unless you want to become a literature professor. I remember sitting in a department meeting 15 years ago asking if we could incorporate courses in foreign languages for business and commerce? My colleagues who were literature experts hissed at me. I became an instant heretic. The suggestion was tantamount to treason in a department where the senior professors were literary scholars. I was proposing specifically that we incorporate language and culture courses of a more practical nature that students could use as viable and marketable professional skills to position themselves for success in the global job market. Prospective Employer: So, I see you did a major in Italian. Tell me more about that. Italian major graduate: I learned about Dante, Petrarch and major Italian literature, along with grammar, structure and syntax. Prospective Employer: How would you use what you learned on the job? This is the reality of most modern language majors today. They learn about literature, culture, art and history, but without concrete skills that are easily transferred to the work place. Employers can’t make those links either. The value that languages major brings to an organization have never been made explicit. Italian major graduate: Unlike traditional programs in modern languages, the one I took was modernized to include courses in Italian business language and professional culture. The courses I took introduced me to fundamental business language in Italian so I can converse more easily with clients, as well as understand how business is conducted in Italy, including cultural norms and social expectations in the Italian workplace. I also took courses in current issues that included a survey of key political and economic factors that allows me to understand the situation in Italy today, as well as where it is headed tomorrow. The value that this graduate would bring to an organization is much greater. It is difficult to internalize the nuances of foreign business practices. It goes beyond knowing how to dress or greet one another. The subtleties are vast and almost impossible to learn without guidance — for any foreign culture. I say this as someone with two degrees — a bachelor’s and a Master’s — in literature. I loved studying literature. It goes without saying that we need to teach students critical thinking skills and that learning about culture is important to understand the human race. I learned first hand what it meant to live under the poverty line for a number of years in my adult life. My degrees in literature did not prepare me for the work force. I had to learn to market my skills in other ways. Only then was I able to pull myself ahead of the low-income cut-off (LICO) line. It was a long road and one that my colleagues with full-time tenured positions as literature professors are unlikely to understand. The days of the self-indulgent scholar are quickly coming to an end. The romanticized version of a scholar puzzling over pile of ancient texts is quickly fading. I’m not suggesting there is no value in learning ancient texts and literature. I’m saying that surrounding yourself with ancient texts is not a viable career option for most language and culture students of the 21st century. For years literary theorists in institutions of higher learning have stubbornly refused to entertain the idea of expanding modern language and culture programs beyond literature. We could call it professional hubris. The repercussions are that modern foreign language programs are now being cut. It makes me feel sad, but I can’t help wondering if international language programs that focus solely on literature and art aren’t doing a disservice to their graduates? Imagine what would happen if we taught our students how to navigate cultural differences in the workplace, adapt to global professional environments and learn basic workplace vocabulary, rather than literary terminology. 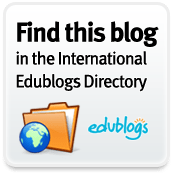 Imagine how we could help our students understand clearly and explicitly the value their foreign language and cultural skills bring to an employer, regardless of whether that employer is corporate, government or non-profit. It’s not about selling out to corporate consumerism. It’s about giving our students professional opportunities outside the literary realm. There are more jobs outside the literary realm than inside it. Why wouldn’t we want to create opportunities for our students to be successful in other sectors, too? What’s your take on all this? Should foreign language programs that focus on literature, art and culture be saved? What needs to be done to revitalize and revamp foreign language programs to make them more viable? An initial time investment of 25 hours to get your online community set up is not unreasonable. It’s easy and fast to sign up, but there’s more to it than setting up an account and a profile. In the beginning, you need to build a foundation for ongoing and sustainable social interaction between your members. You need to create a community that provides value, resources and a sense that time there will be well spent. You also need to collect and add some quality content to populate the site from the very beginning. Do not wait until you have a critical mass of members, assuming that high quality content will simply appear. Set the example for what type of content you expect by populating the site with some initial contributions yourself. Most popular content includes “how to” information, tips, lesson plans and very practical hands-on type information. Avoid lengthy diatribes, theory or “heavy” philosophical material. Multi-media content is also popular. It’ll work best if you “seed” the community with at least half a dozen (or more, if you can get them) key individuals who are well-known in the social group. These “founding members” should be hand-picked by the administrator. They are folks who will be seen as trusted authorities or influencers. Get at least half a dozen founding members fully signed up (including their profiles and photos) before sending out a mass public invite. You may have to follow up with them once or twice to nudge them, but it’s worth it. Seeding your site with a few key influencers can help build the online community quickly and effectively. People will have a look to see who else is part of the online community before they sign up themselves. If they see people they know, trust and like on the list of virtual community members, they are more likely to sign up themselves. Ask each of your “founding members” to contribute one piece of content — an article, a blog post or something that will bring value to the community. Part of the success of your Ning will depend on having quality contributions from a variety of members. Plan on updating your online community at least once a week. One of the biggest downfalls of online communities is that they stagnate because no one contributes. Approve new members. Human spammers or spam bots may try to sign up for your online community. Some services that offer online communities give you the option to require that new members be approved. If your service offers that option, I recommend accepting it. It’s a little more work upfront, but it keeps the quality of your online community high… which will keep your members happy. If you do get spammers in the community, eject them immediately. No apologies and no questions asked. If necessary, you may need to apologize to community members for spammer activity and let them know that you have taken steps to ensure that it doesn’t happen again. Invite contributions from members on an ongoing basis. Send out periodic and personalized e-mails to members letting them know that you have showcased their work or you’d like to invite them to contribute. Avoid sending form letters or messages that are not personalized. Sending occasional personal e-mail communications will be more effective than mass mailouts or “blasts”. By the way, this goes beyond a form letter that simply has the person’s first name in the salutation. That no longer counts as genuinely personalized communication. Add a comment about the person as human being. Ask about their spouse, kids, pets or latest project or vacation, using specific details that lets the sender know it is not really just another form letter. Over the past few years, I have noticed a curious trend. Five years ago, fewer people knew what online communities were all about. Those who knew signed up without much resistance and contributed generously. Now, more people know what online communities are and understand how to participate in one, but at the same time, people are getting pickier about what they sign up for. Even though more people have higher technology literacy levels when it comes to understanding both the concept and the “nuts and bolts” of online communities, that does not necessarily correlate to a willingness to sign up for one. The trick to creating a sustainable and successful online community is continually providing value to members, without overwhelming them. You must respect their time, their privacy and their willingness to engage. Time and energy are valuable personal resources. If you want someone to spend time and energy in your online community, make it worthwhile for them. An online community is not a sales platform and nor is it a space for one person to broadcast their ideas or opinions. A community — whether it is online or in real life — must be interactive, engaging and supportive for everyone. 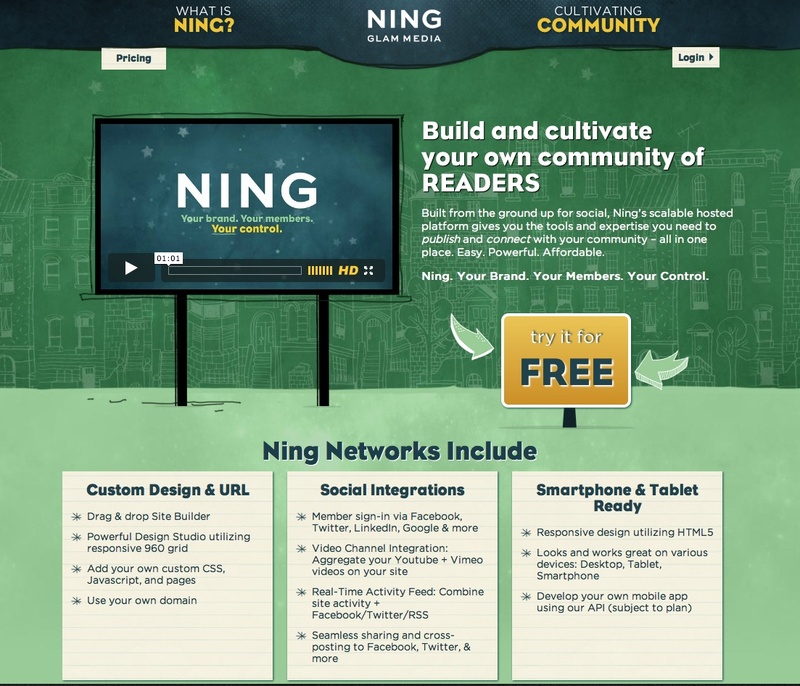 Ning is my favorite online platform for online communities, especially for education and non-profit. There is a cost, but it is minimal. The Ning name is also trusted and well-known. I don’t think you need to budget tens of thousands of dollars to have a custom-built platform. You are probably familiar with the term “re-grouping”. It means taking a breath and a step back from a situation in order to re-assess the current state of it. 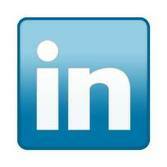 Lately, I have been “de-grouping”, mostly on LinkedIn. For a number of years, I have been a member of the maximum number of groups allowed, which is 50. I signed up for groups related to topics I was interested in professionally including leadership, literacy, languages, marketing, education and other topics. I tried to read discussion posts and contribute. I thought it was a good way to keep my pulse on sectors and industries that I felt were important to my career. What I found was quite the opposite. Instead of staying on top of news and trends, I was inundated with messages, many of which did not help me learn, grow or provide many insights. On the flip side, I was also unable to contribute much of value to many of the discussions. I personally know some or all of the members. I’ve seen the whites of their eyes and I can easily remember their smile. I learn something from the discussions. I can contribute something of value to the discussions from time to time. For me, cutting back on the number of groups I am a member of on LinkedIn has helped free up time and energy for other activities such as tending to my clients, teaching students and preparing upcoming presentations and workshops for the fall. All in all, being more selective about how I spend my time and energy online has helped me to cultivate my professional and leadership skills overall. I’m still online… just more selectively than ever before. I have increased energy as I am using laser-focus to determine which activities bring value to my profession and where I can also make a meaningful contribution. You are currently browsing the Learning, Teaching and Leadership blog archives for August, 2013.